Which would you rather have in your life? Our backyard offices and outbuildings are a great addition to your house whether you work from home or want a creative space. There are quite a few benefits of having a backyard office instead of a room office in your home. A beautiful, welcoming space to bring clients, without having to open up your home. How nice would it be to be able to bring clients to a beautiful, cosy, private office in the settings of your garden. A great way to break the ice with new clients as you bond over chatting about the workspace. So much nicer than meeting at rented office space, or worrying about cleaning up your entire house to have a 20 minute meeting. Maybe you are a therapist and you want a safe, welcoming space for your clients to be able to share. A physical separation between your home and your business. It’s a good idea to have a separation between your home life and business life as much as possible. Working from home takes incredible self discipline to focus on your work and not get distracted by being at home. Small distractions can really impact your productivity. The physical separation creates a work time vs home time, this is even better when it is paired with a consistent schedule. It (hopefully) forces you to step out of your pyjamas and really focus on growing your business. Cost of tiny office is a business expense. 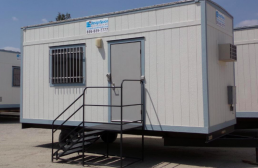 If you buy a tiny mobile office, you can count it towards your business expenses and reduce the taxes you would otherwise owe. It also makes your home office tax deductions easier to calculate vs having an office in your home. If the circumstances of your business change, you can simply move or sell with minimal impact. Maybe you move house and want to bring your tiny office with you. No problem when it’s built on a trailer. 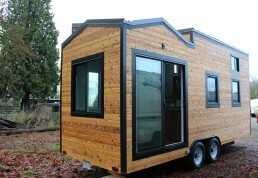 Each tiny office and outbuilding will be unique to your personal needs. Exterior, Interior design and layout are customizable to how you see the space functioning. We help you create your vision for your space. You imagine it, we can build it. Skylight? Yes. Library? Yes. Movie Room? Yes. Interior Climbing Wall? Absolutely. Man Cave? You bet. Designed properly you could use the space for a multitude of possibilities. It could be your yoga room, meditation space, gym, workspace, art studio, guitar practice, poker room, video game space, wine making area, beer brewing. List goes on! Additional details - The more detail about your needs the better. Bathroom? Kitchen? Any must haves or custom features.